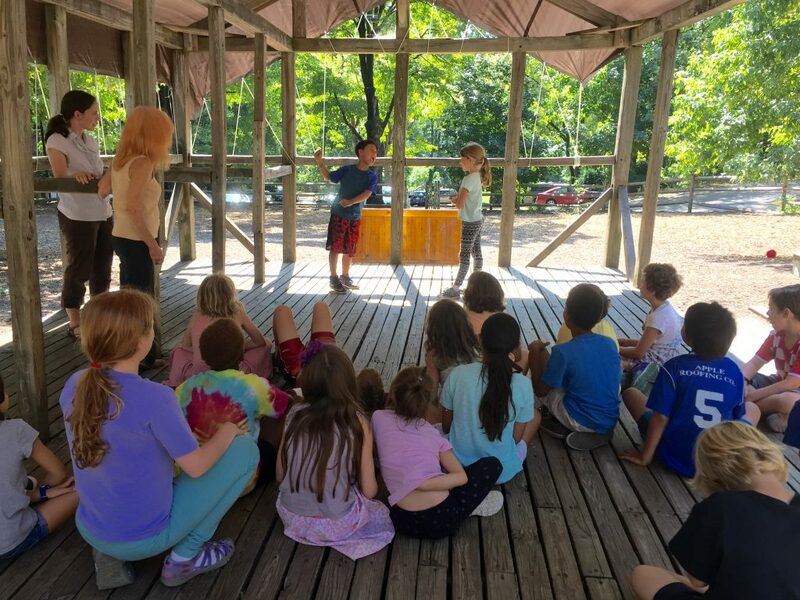 At Miquon, we believe that social and emotional growth is so integral to childhood that academic work cannot be seen as something our children are doing separately from their lives as friends. Building community, understanding oneself as a friend and member of a community — this is essential work. With all that keeps us busy in the school day, we are committed holding the space for it. What does this look like? We build in some intentional places into our schedule; other important moments, of course, just come up. In our adult lives, we often rush by these moments. It is tempting to do so in school, too: when it is time to go to science or for the next lesson to kick off, it can feel like we don’t “have time” for this. And yet we know it is some of our most critical work. When feeling hurt or angry, the opportunity to find an expression and share it — or work though a problem and come up with a remedy — gives us the ability to return our attention to classroom work and do our best learning. So instead of glossing over conflict or problems, we stop, take a pause, make a space to listen to one another, and practice the skills of empathy and conflict resolution. Any visitor to Miquon who witnesses these conversations will immediately notices the children’s language when they speak about their own feelings or try to reconcile after a problem. The work done from the very early years here give children the tools they use in difficult moments because they are familiar from practice. One of our daily practices is morning meeting, a time to greet each person into the circle, share something from our life, perhaps lift up appreciations. 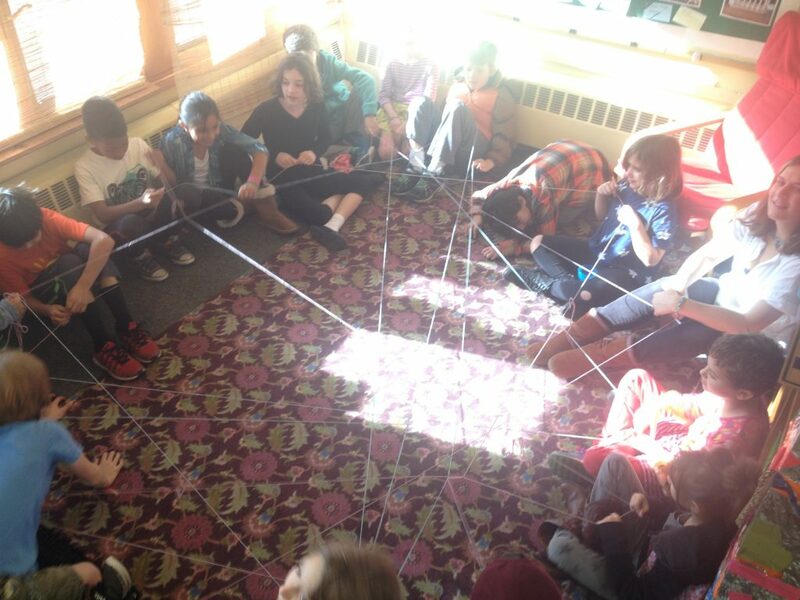 One morning meeting example involves children passing a ball of string across a circle with a word of kindness or compliment for a classmate, eventually creating a web to connect us all. 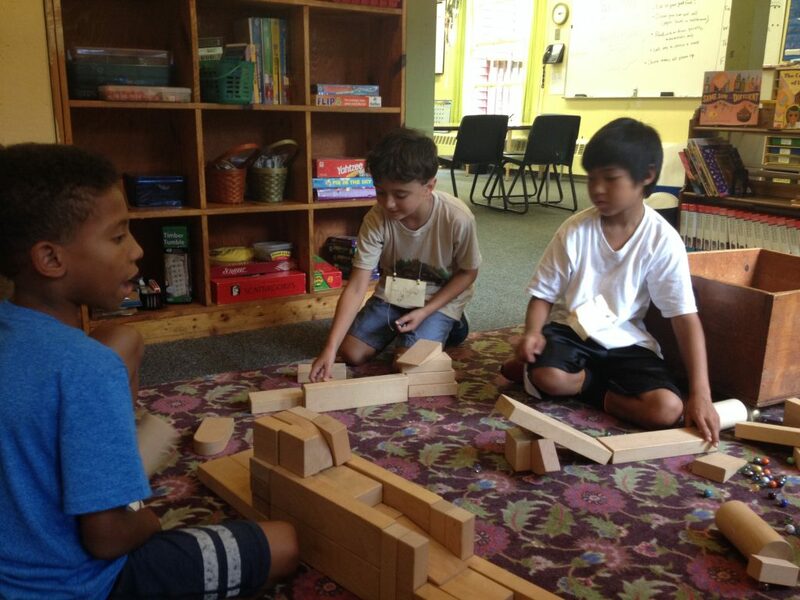 Other daily practices include our shared lunch conversations, and “morning work” traditions that help us to connect and work out relationships through playing board games, reading from our morning journals, or tinkering and building together. As conversations or misunderstandings arise in these settings, we can take the opportunities to practice relationship building skills. Twice a month we also gather in a meeting we call “Good of the Group.” Modeled on Miquon’s monthly assembly tradition of Good of the School, this meeting is child-led, and usually includes the same steps: Announcements (“Card games at choice time today, anyone?”), Problem and Concerns, Solutions, and ending with Appreciations. The two earnest leaders work to set up their clipboards and sharpened pencils, divide responsibilities, and consult each other throughout as they have observed their sixth grade friends do at assembly. The careful efforts of classmates to balance the contributions of more talkative voices with those we don’t hear from as often. The range of problems raised: thumbtacks being found on the floor, children not being mindful of comments they make during four square, people forgetting their classroom jobs. Then the solutions are proposed, discussed, and agreed upon, again with the children facilitating and taking notes that will be posted for future reference. 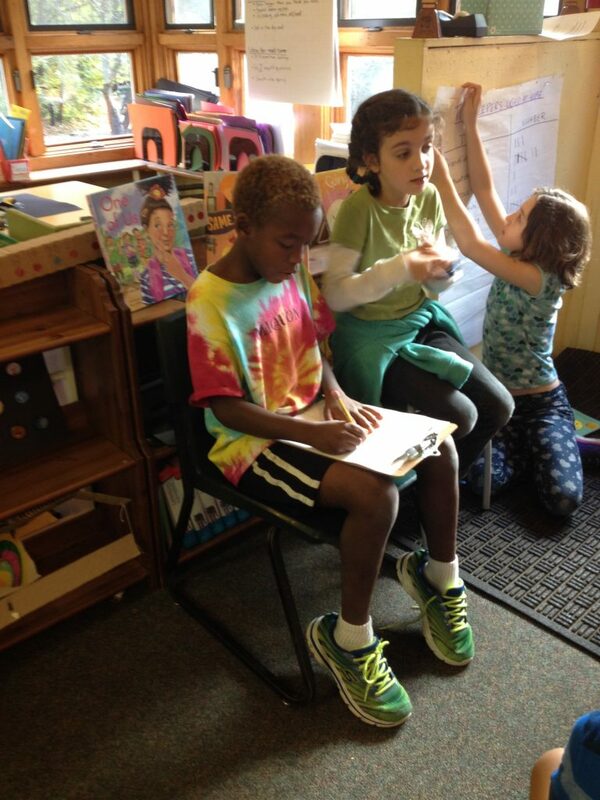 Sometimes the children taking the facilitator role find that leading comes naturally to them. Just as often, leaders of the meeting might be less outgoing kids who find that this structured role brings out their courage and their gifts for listening and mediating. 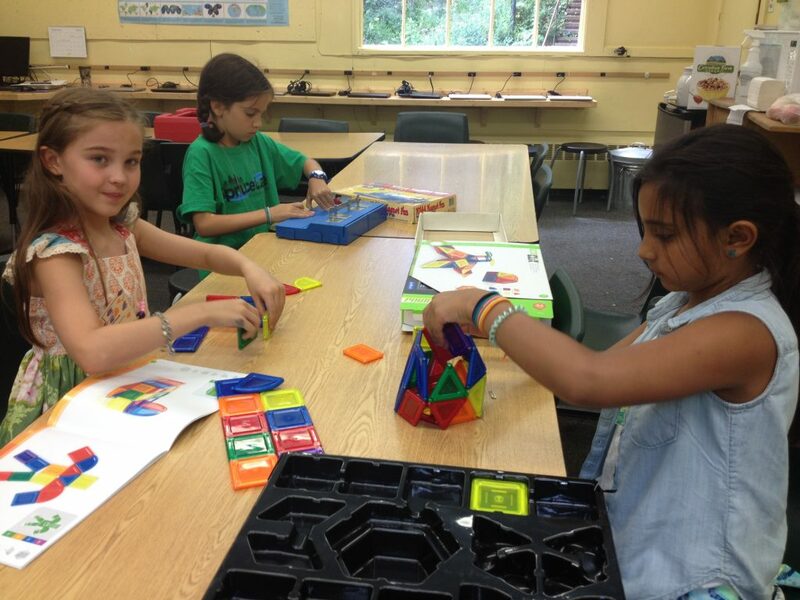 The children engage seriously in this process, and their endeavors point to a future that is full of hope. They are building skills that will serve them so well in life: careful listening, balanced response, building consensus, and thinking of the greater good. We see these tools bringing so much value to their lives as citizens in a democracy — wherever their paths after Miquon may take them.